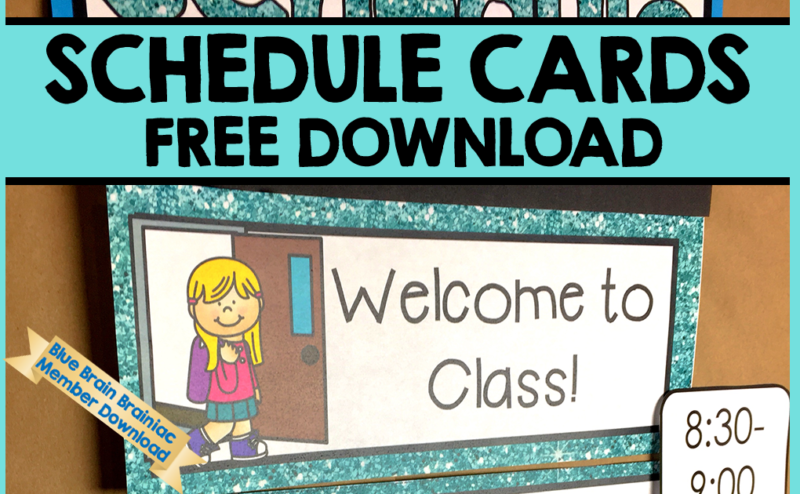 Having a kindergarten schedule allows you to follow a plan easier and make sure you are teaching what students need to learn. It is also a way to help children feel safe and secure because they know what will come up next. A sense of safety and security is very important for students and it is our job to provide that. One way to do this is by having a visual schedule. I keep my time blocks broad so that I can adjust times as necessary during the day but we are generally working in the area that is indicated on the visual schedule. I also add times separately just in case I need to adjust them to fit the needs of students as the year progresses. This is what our schedule looks like. Students arrive anytime before 9. They enter the classroom, hang up coats and unpack, sign their name, choose their lunch and get to their desk and start their morning work for the day. The morning meeting segues into the days read aloud. One story is studied during the week. We use Word Walls to explicitly teach vocabulary, text structure, strategies and skills throughout the story. I also introduce new skills, letters, sight words or word family which takes about 15 minutes. We do three 20 minute rounds of Literacy Stations one of them the guided reading group. Writer’s workshop consists of a minilesson, independent writing, and wrapping up. Interactive Writing: Over one or two days, we brainstorm a story or information on butcher paper. For many days after, different students come to the whiteboard to help write one or two sentences. In the end, the story is published into a big book. This time consists of a minilesson and hands-on practice. These are actually “play centers” created with a purpose. They direct children to play in a meaningful way. I’m trying to download this and am not able. Can you please help me? Hi there – thanks for reaching out to me! I just fixed the link it should work now. Download it by clicking here. The download link should take you to my TpT Shop. It works for me. Hmmm… What browser are you using?